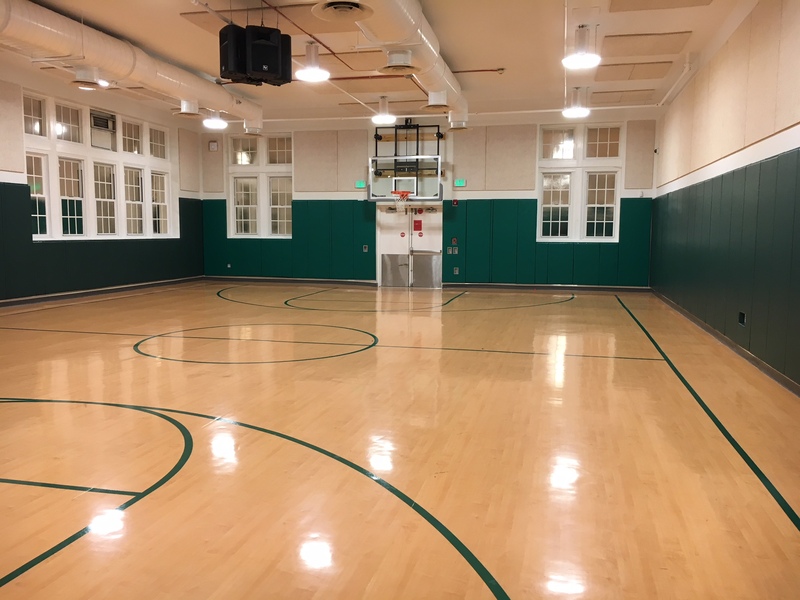 Park View School | Park View, D.C.
After nearly two and a half years of planning and construction, the recent renovations at the Bruce-Monroe at Park View School are completed with only smaller punch list items left to finish. The scope of work included a new parking lot, a sprinkler system for the school, exterior landscaping, a new gymnasium and a new cafeteria & kitchen. Last night, I had a chance to see some of the new spaces inside the building following the final School Improvement Team meeting. Below are some photos of the new gym, cafeteria, and kitchen. 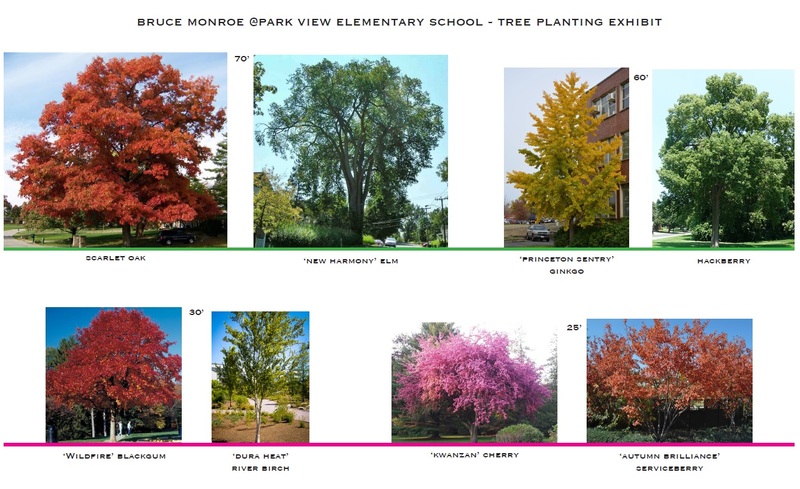 I’m happy to report that I’ve been able to get 10-13 new trees added to the landscaping plans for the Bruce-Monroe @ Park View School project. But it took a lot of doggedness and refusing to take no for an answer for nearly a month. While one would think that the landscaping plans would have been discussed at a School Improvement Team (SIT) meeting, of which I’m a member, they really weren’t. Furthermore, it has been a few months since the last SIT has met. This is an area that I’m extremely interested in as the school grounds have long been on my list of places where we could potentially get large shade trees to help address the tree desert in the middle of the neighborhood. 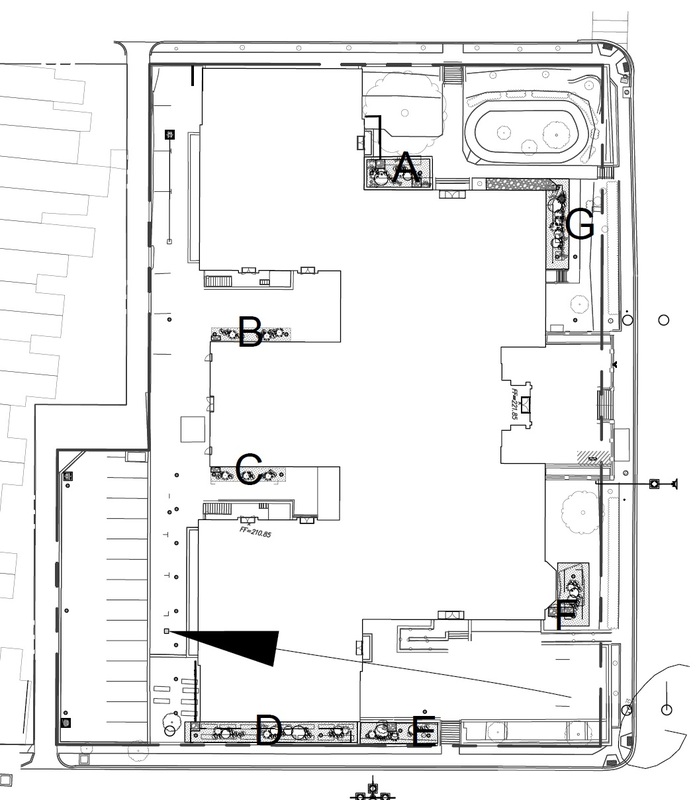 Site plan of the school showing location of new bioretention areas to be added at Bruce-Monroe @ Park View. I was surprised when I inspected the school grounds in late August that bioretention areas were being added to the grounds at the front of the building, prompting me to request a copy of the landscaping plans on August 30th. After four requests, a copy of the plan set was finally shared with me on September 6th. A quick review of the plans showed that no trees were being added in the front of the building. 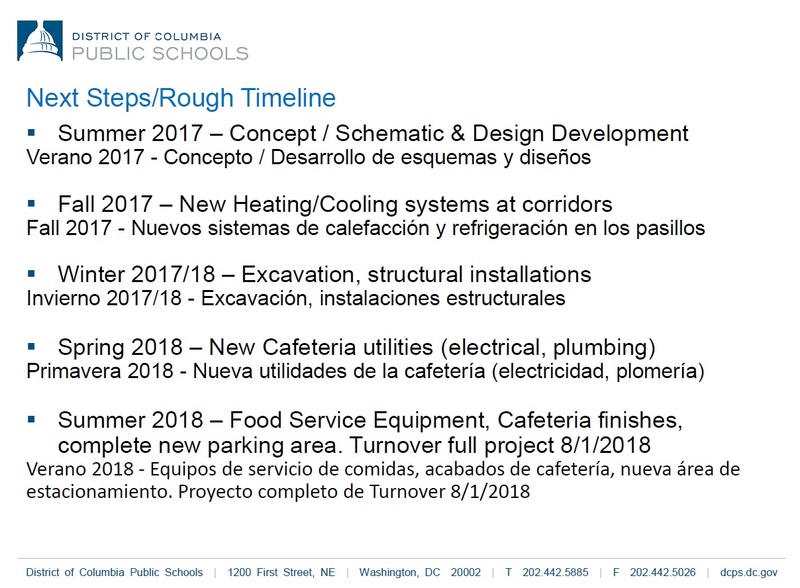 Immediately upon seeing the lack of trees on the site, I contacted the construction team, and later the DCPS project team, and asked about adding trees to the landscaping plan. The initial feedback I received was that trees would interfere with the bioretention areas, and that the bioretention areas were required by the Department of Energy and the Environment (DOEE). Refusing to give up, I also contacted DDOT’s Urban Forestry Administration and requested a site visit. I also had a long conversation with DOEE which informed me that green infrastructure elements are required, but that bioretention areas were one of four ways that a project could meet that requirement. Another way was to plant trees, and that in many ways DOEE has a preference for trees but leaves the selection of which way to go to the project team. Armed with this knowledge, I shared with DCPS that trees were an option and that if push came to shove trees would be the better choice on Warder Street. 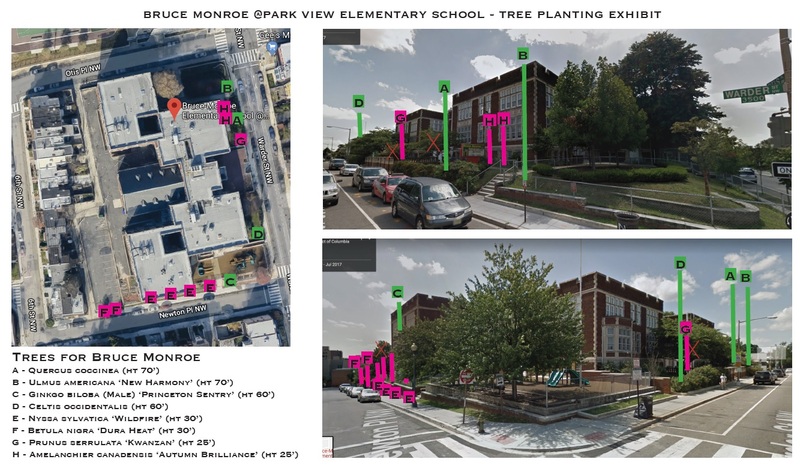 Following DDOT’s site visit to the school, and after nearly a month of dedicated oversight, I was finally informed on September 21st that both the Warder and Newton Place sides of the building could accommodate trees without disturbing the bioretention areas already planned. This will include three trees on Warder Street and one on Newton that will mature between 60′ and 70′, helping expand the tree canopy. See the illustrations below for approximate locations and suggested species. The illustration below also helps provide an idea of what each of the recommended trees will look like when mature. 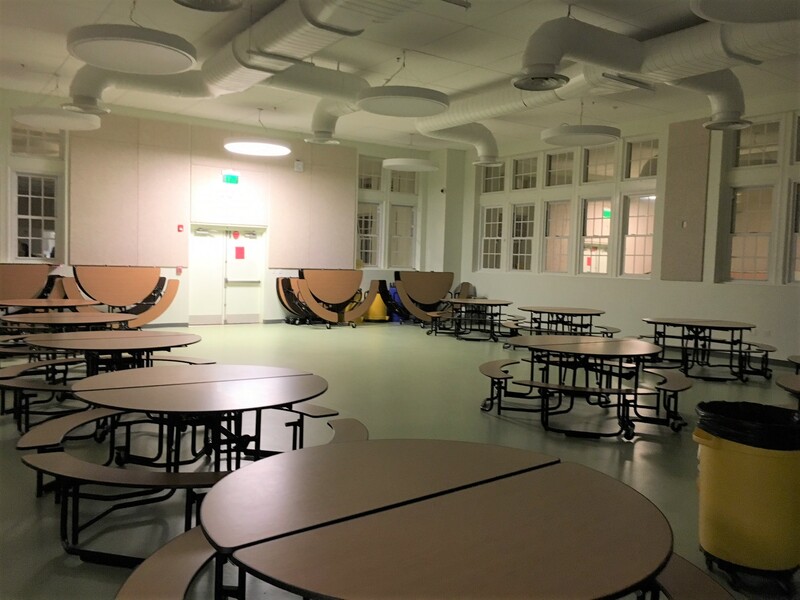 In December 2017, months of planning and design work to construct a new cafeteria, new parking lot, and renovated restrooms at the Bruce-Monroe @ Park View School began. 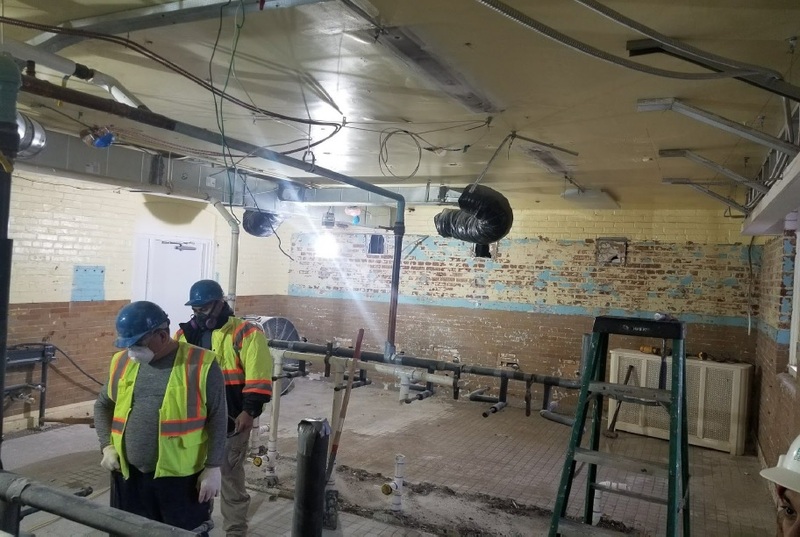 The overall scope of the kitchen project includes a new and larger cafeteria and dining space, which will be constructed in the school’s north gymnasium. When this is completed, a gymnasium will be constructed in the former kitchen space. Current and past documents and reports related to this project can be found here. As of the January update from the School Improvement Team, the ground floor bathroom demolition work began of the Winter break, and a dust barrier has been installed to keep the bathroom demolition area separated from the corridor. 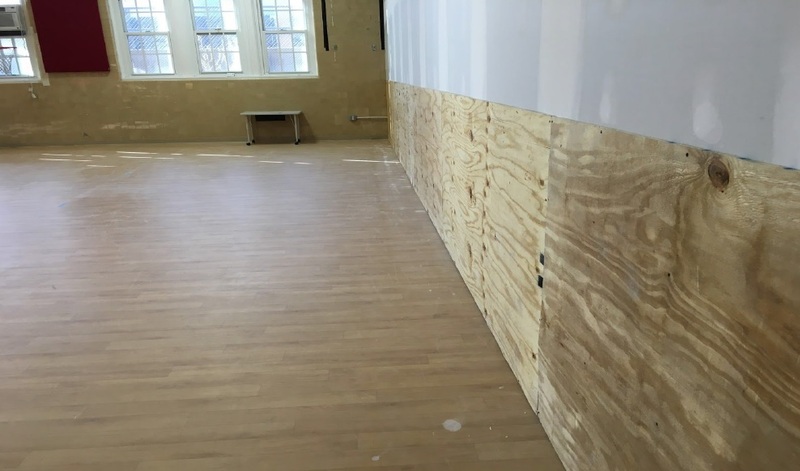 A barrier wall has also been installed in the gymnasium to separate construction activity from areas still in use by the school. Photos of each are below. As some in the community may already know, on the evening of Friday, September 1, at 9:30 pm there was a fire on the Bruce-Monroe @ Park View playground on the south side of the building. Fortunately, one of the custodians was able to alert the fire department which responded quickly. 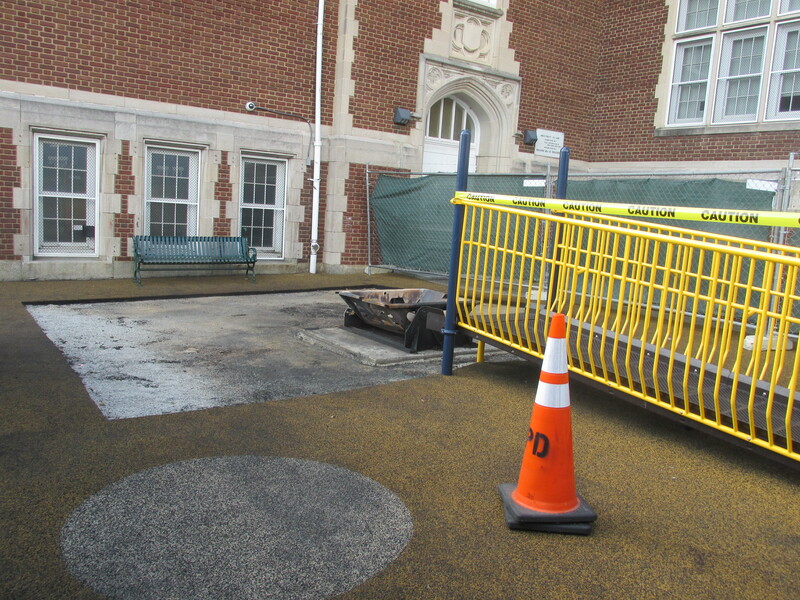 It is suspected that the fire was intentionally set and a section of rubberized material along with one of the pieces of playground equipment were destroyed. That has all since been removed. 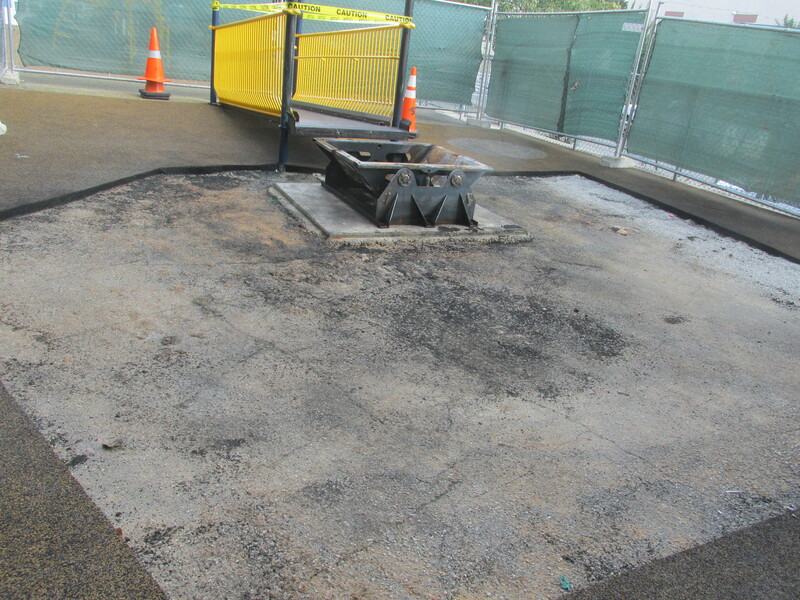 On Friday, September 15, I was able to connect with the Department of General Services (DGS) and found out that they are unable to exactly replace the playground equipment that was damaged — however they did find something very similar. The recommended replacement has been sent to DCPS for review and sign off, after which the orders will be placed and the playground repaired. 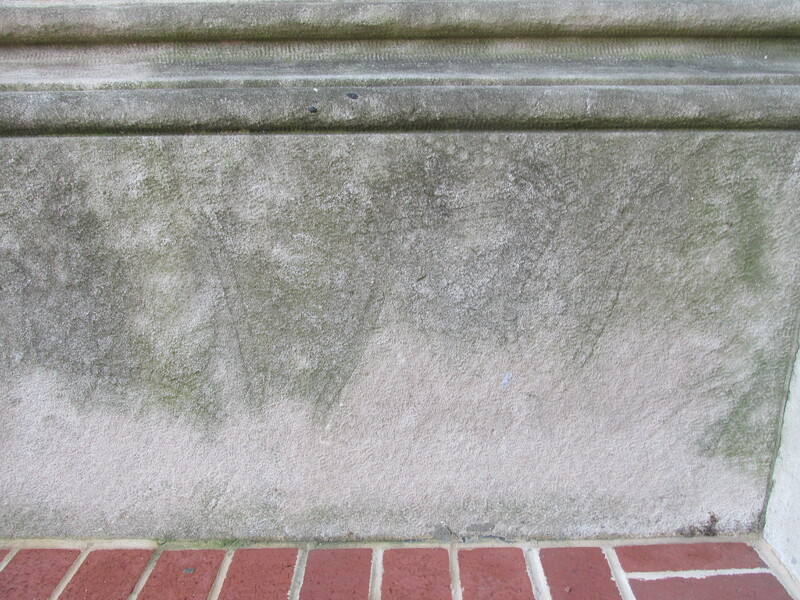 While at DGS, I also pointed out the leaning wall along Newton Place. I know this has been a concern for many over the years, though until recently it appeared to be largely stable. Over the past several months, however, the wall appears to be less stable and the winter weather could further compromise its integrity with water freezing and thawing. DGS has agreed to inspect the wall to determine if the time has finally arrived to repair it. 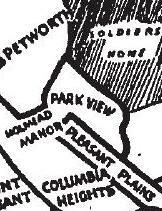 A while ago I found a website that explores fossils in the architecture of Washington, D.C. by Christopher Barr. 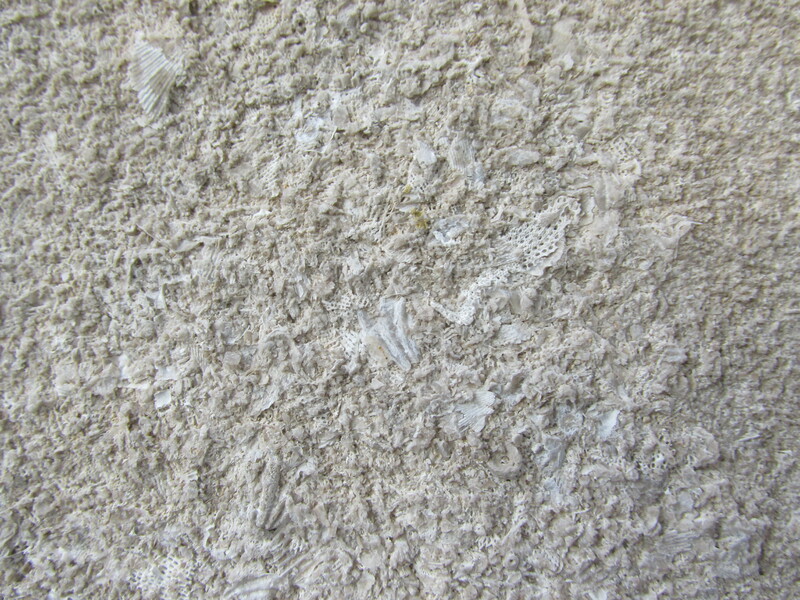 The site is organized by geological periods and shows examples of fossils that are in stone used in local buildings. I was immediate drawn to the sections on Sacred Heart Church and the Unification Church on 16th Street. 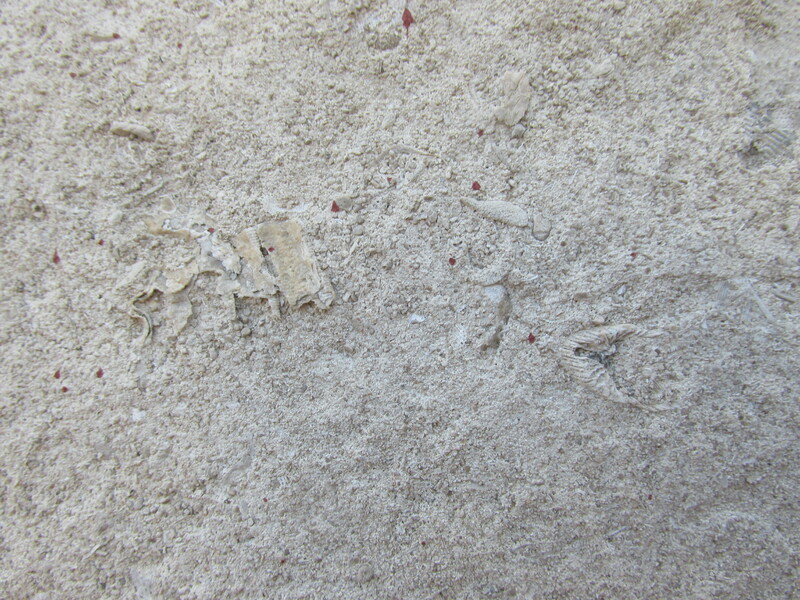 But as I reviewed the site, I suspected that we would also have fossils in the limestone used at the Park View School — and after inspecting the school, my hunch was right. 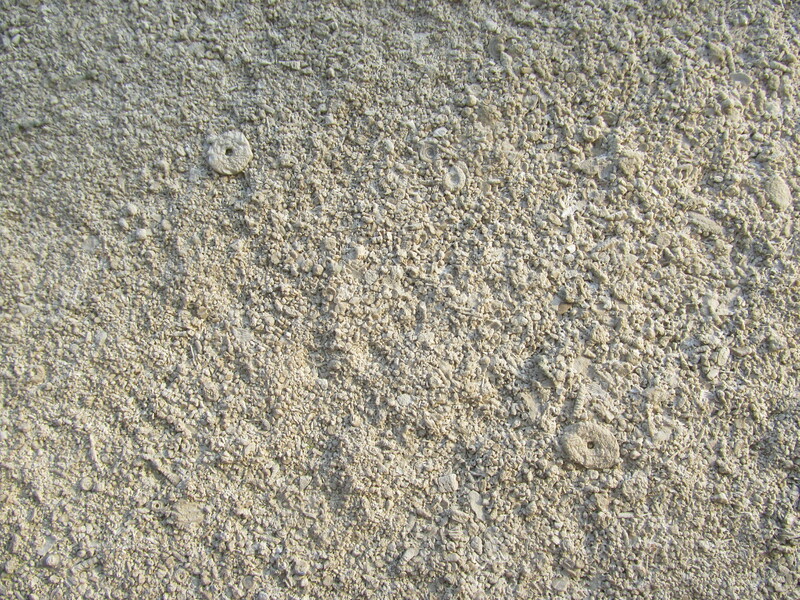 As near as I can tell, the limestone appears to be Indiana Limestone from the Mississippian period. 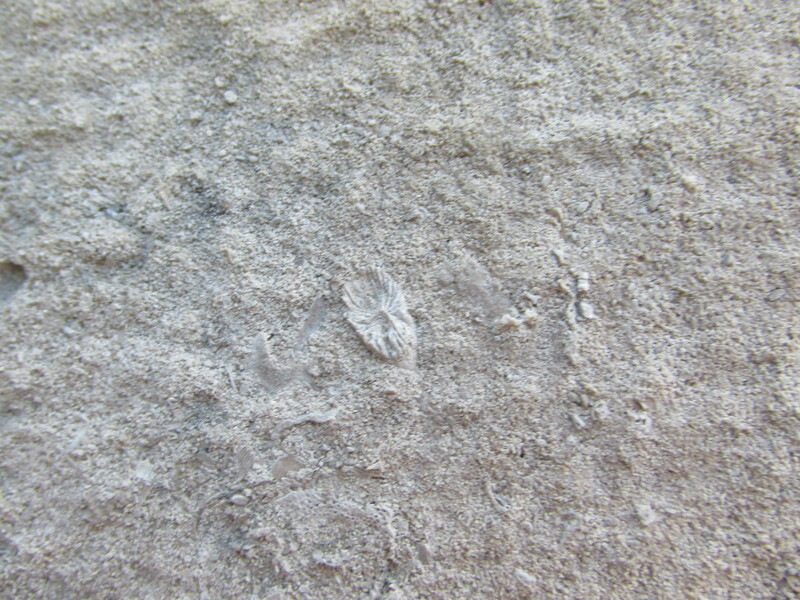 Below are photos of some of the fossils I found at the school. At the April 26, 2017, School Improvement Team (SIT) meeting for the Bruce-Monroe @ Park View Elementary School, the Department of General Services announced the architects, builders, and timeline for the new cafeteria project. The project is aiming to break ground in the winter of 2017 and be completed by August 2018, in time for the new academic year. The architect chosen is Shinberg Levinas with Winmar Construction chosen as the general contractor. 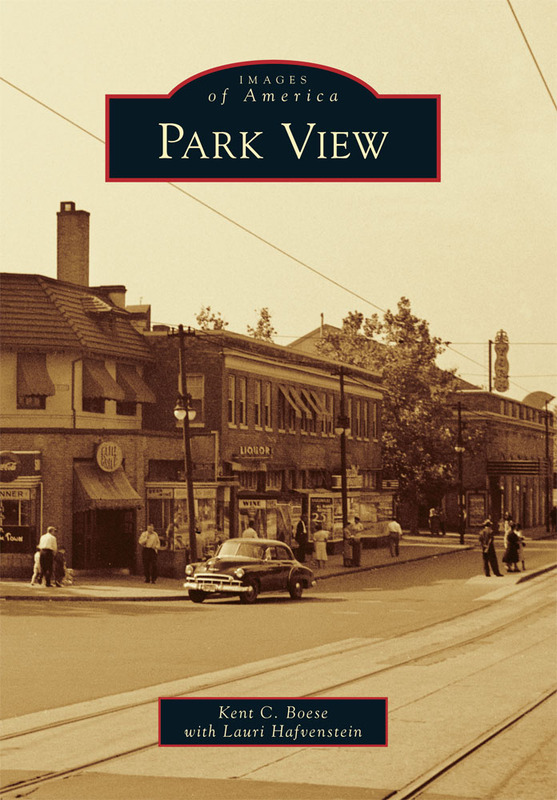 The scope of the project includes a full kitchen, a larger dining space, a new loading zone, and a regrading of the parking lot at the rear of the building along Newton Place. Leading up to construction, the design team will be developing the plans and getting permits. During construction, there will be times when there will be no off street parking for the school’s teachers. No plan was shared at the SIT meeting on what, if any, accommodations would be made for teachers during the reconstruction of the parking lot. Another issue that was raised was the configuration and condition of the alley behind the school, which is currently very narrow and difficult for school deliveries and regular trash collection. The estimated schedule for the project is below. The entire slide deck from the meeting and additional information and updates are/will be available at the Bruce Monroe @ Park View school modernization Web page. Yesterday, the Bruce-Monroe @ Park View School Improvement Team (SIT) was informed that Mayor Bowser had released the Capital Improvement Plan (CIP) for Fiscal Years 2017-2022 and that there has been a recommended change to the project budget for the school. Currently, the school has $5.7M to put towards renovating the cafeteria, but the estimates to do so exceed that amount. 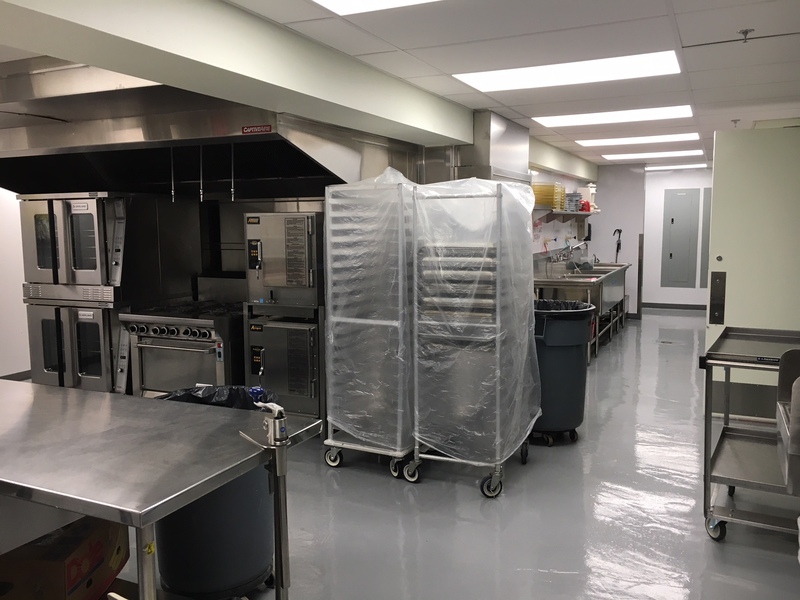 In the CIP, the budget has increased by $5.5M in FY17 with the goal of modernizing and expanding the kitchen and cafeteria. More details will be forthcoming at the April SIT meeting, but this is definitely good news.